Who would be a media mogul ey? The last few weeks and months has seen the likes of Simon Cowell and Rupert Murdoch become the story for the wrong reasons. For months, the press were told who was in and who was out in the game of musical chairs regarding this year’s X Factor judges. Eventually we said goodbye to Danni Minogue and Cheryl Cole and hello to Kelly Rowland and Tulisa Contostavlos (Peter Dickson, the voice of X-Factor will certainly have his hands full announcing her name in full every week). Eventually we got a date for the launch of the American X Factor which heralded the return of Paula Abdul (formerly of American Idol) and once again, the exit of Cheryl Cole. And then there was the furore regarding anonymous blogs and the tapping up of contestants in this year’s Britain’s Got Talent. In January, the ex-footballer and Sky commentator Andy Gray was caught on camera asking to rate how buff a female lineswoman was. Other evidence then came to light which showed him to be even more cruder and it led to his sacking by Murdoch. His TV partner, Richard Keys also fell on his sword. And in the last few weeks there has been the issue regarding alleged tapping of voicemails, unethical payments made to police officers and the closure of the News of the World, a brand which stood for 168 years until it was deemed as toxic despite being Britain’s most commercially successful newspaper by its’ owner, Rupert Murdoch. And at the time of writing this blog, ‘hackgate’ has seen the demise of the Metropolitan Police commissioner, the arrest of Rebecca Brooks, and demands by the leader of the opposition to dismantle Rupert Murdoch’s vast media empire. Keep your friends close and your frienemies closer still.. Now that’s a saying that was made for the movie business if ever there was one, but also one that I’ve never quite fully subscribed to as I would have thought that you should keep your friends closer. Maybe that shows I’m really a romantic at heart and besides it’s just a saying, a good one, but just a saying like the one that says ‘you are only as good as your last picture’. Now this one I subscribe to much more as it’s sometimes a reasonably good measure for producers when assessing whether to work with certain individuals in this business called show. So why do I, as a grizzly veteran producer describe this picture as a good one, well because it’s a success, simple as that. For such a small independent African/UK picture to do as well as this one is doing in the highly competitive theatrical marketplace is something that I’m more than happy to shout about and be very proud of my contribution at the same time. I won’t list all of its now historic schedule of achievements save to say that it was the first new Nollywood African movie to premiere at The Empire, Leicester Square, first movie of its type to be released across the UK on Odeon screens (opening at No.5 across Odeon London screens and 28 across all UK Box office on only 10 screens & still showing now 6 weeks later (1 screen), its been nominated and won awards across Africa, Europe and USA and is on course to possibly become the highest grossing of the recent crop of new Nollywood films, and earn the producers (including yours truly) some nice returns on our profit points. The Mirror Boy has been released in Gambia and my home country of Ghana and will premiere in its natural home of Nigeria on 5th August and I wish it well on its journey of success around the world. Talking of success, it is especially pleasing for me to know that I can tie the success of The Mirror Boy opening weekend release with my own personal success of receiving an MBE for Services to the Global Black Film Industry in the 2011 Queen’s Birthday Honours List. What a weekend that was! My own personal success aside, for me the honour I received also reflects recognition of the recent success of British urban cinema. I enjoy much of what is broadly described nowadays as the urban cinema genre, but some of it is also very weak and exploitative and as long as Gunslinger/Revolver have the market cornered in terms of production, financing and distribution not much is likely to change. But let me flip the script a little and say that having been in the game as long as I have, I see urban (aka mostly black British themed) cinema in a slightly different way, as for me its history goes much further back than say Kidulthood. That is a whole other conversation, but one I think the young guns should begin to have more with the OG’s, especially in this the 30th anniversary of one of the most seminal British ‘urban’ films, Burning an Illusion (wr/dir Menelik Shabazz). 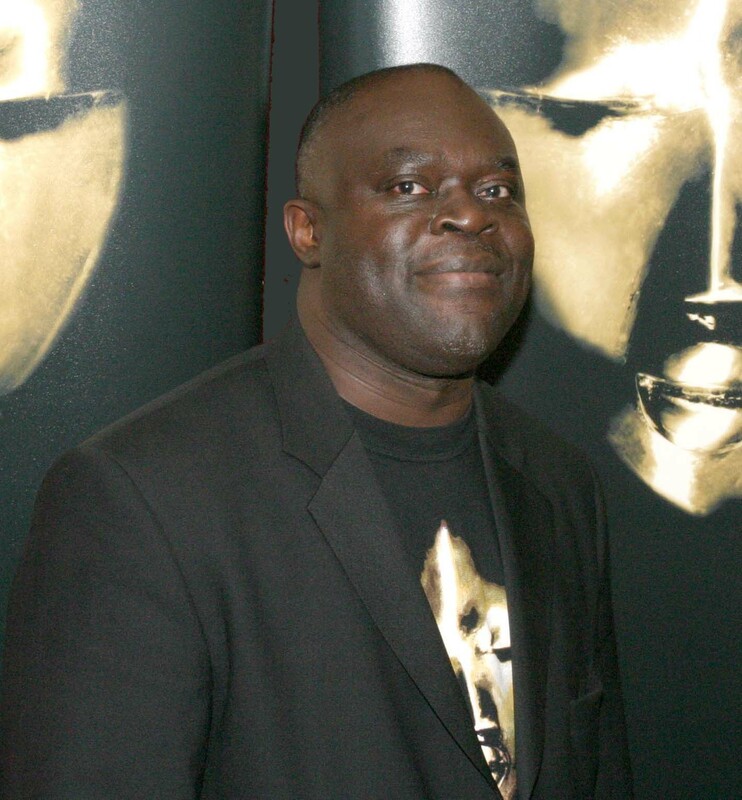 For those that do not know, Menelik Shabazz is one the UK’s most talented and sorely underused film director’s (of the standard and peer of Stephen Frears) and with whom I’m proud to say I had the honour of co-founding the (now defunct) bfm International Film Festival and where I first encountered Emmanuel Anyiam-Osigwe, who would go on himself to found the British Urban Film Festival. I’d like to think that the experience that Emmanuel had with bfm Int. Film Fest during my tenure had much to do with him moving forward to create BUFF. Only he can really say. What I can say is that my own experience leading the bfm Int. Film Fest for 4 years to become the UK’s leading black-themed film showcase and the 3rd largest in Europe, set me up for founding in 2003 the event I produce now, the Screen Nation Film & Television Awards aka ‘the black Bafta’s’. With 6 editions under our belt and having taken a hiatus for the last 18 months, many readers will be happy to hear that the Screen Nation Awards will return in grand style at the Indigo O2 this coming October. For those that have never been before you can expect to mingle with the crème de la crème of the black British and urban media scene across film, television, music and new media and participate in a fun filled night of celebration of black British achievements. Anticipated guests for this year include most of the writers of this year’s BUFF blog plus talent as diverse as Idris Elba, Thandie Newton, Adam Deacon, Bunmi Mojekwu, Lenny Henry, Sir Trevor Macdonald OBE, Noel Clarke, Femi Oyeniran, Naomie Harris, Aml Ameen etc, etc. It is talent at the level of those listed above that I’ve had the pleasure of working with for over 20 years as a producer and hopefully many more to come. Many of those people no longer operate in the UK or are at the autumn of their careers, but it’s on their shoulders that almost all of another kind of BUFF, the British Urban Film Fraternity now stands. Being someone with broad shoulders myself, not a lot of people know about my film & TV making history and certainly imdb doesn’t hold all my important credits. Something I should really try and change soon now I’ve been given a gong. Its only when I think back that I realise that I have been fortunate to have a career that has weaved its way through the first films of many now established and outstanding British film and television makers, actors and professionals as well as many other important works that have stood the test of time. In the very short term, what I look forward to now is hopefully soon moving into pre-production with one of my last UK pictures 10 Seconds, to be directed by Kolton Lee (Freestyle, Cherps) and written by the now Nigeria based Bafta winner Tunde Babalola. Talking of Nigeria it is there that I will be looking to make another of my next projects, a major disaster movie and where I plan to extend the Screen Nation brand onto the continent with the creation of Screen Nation Africa. I can’t wait! With more and more exciting collaborations happening in the black British filmmaking scene, continued positive developments in urban television, both online and on satellite, plus the fantastic opportunities that digital distribution brings for black/urban media content, I hope when I’m next asked about my next last picture that I can confidently say that I’m still as good as the one I made last. (c) Charles Thompson/BUFF Enterprises. All Rights Reserved. If it feels like the frequency of buff blogs are being stepped up, the signs are that the festival is getting nearer. This year’s event marks the 5th annual gathering of filmmakers, the media and the general public to the British Urban Film Festival, now widely accepted as the first stop for urban films. As the late Michael Jackson quotes in one of his songs ‘it don’t matter if you’re black or white’, the festival acts as a tool to highlight, to showcase and to champion the growth of urban film, a relatively new genre which has become a staple diet for audiences since the late 90s. The diet seems to have bulged in the last 12 months with a whole host of films, filmmakers and film festivals, cashing in on the urban concept. The British Urban Film Festival was the 1st and remains the only film festival of its’ kind in the UK – passionate in its’ brief to deliver the best urban films free without charge. Happy birthday Buff, many happy returns. They are not the only festival to cancel 2010 festivities – Kush Films (whilst not having cancelled any festivities for 2010) seem intent on leaving the scene in 2011, thanks in no part to the disillusionment with the way the industry is run. No doubt the global economic crunch will have made its mark on matters also. Colourful Radio’s resident film buff Emerson Forde makes the observation that certain sectors of the business & film community are all but ambivalent to the Black community as a whole. Add to that ‘a new government who are highly unlikely to be funding this type of project’. The last time Buff met Kanu in person was at Brentford FC when Nigeria were trounced 4-1 by Ghana in a friendly. At the time, one did feel that there was a changing of the guard after the events of that night – the events of the last 5 weeks have shown that Ghana can only get better whilst for Nigeria it can’t get any worse than getting expelled by FIFA after attempts by the president to get its’ house in order – by withdrawing from all international tournaments. The next time the buff blog is published, the line-up of films will be revealed for this year’s festival which Buff can reveal will be hosted by the stand-up comedian and actor Lateef Lovejoy. Over the next few weeks GM World TV (part of Gabriel Media International) will be screening exclusive online coverage of the festival featuring news, interviews and official previews. Buff is delighted to team up with one of the most dynamic PR agencies in the business to bring you unrivalled coverage of the buffest film event of the year. Its’ already been announced that Sus starring Clint Dyer will be the opening feature film for this year’s event….